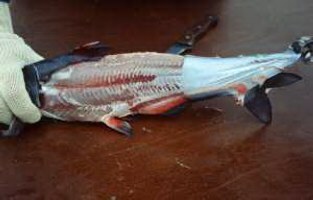 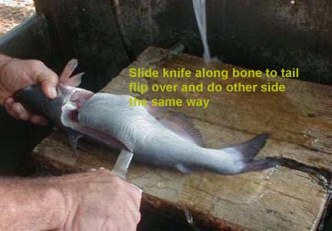 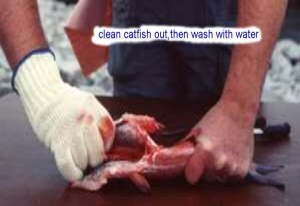 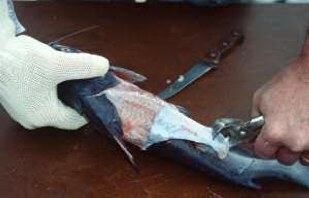 There are two ways you can clean your catch usually by skinning or Filleting.Equipment that is necessary includes a sharp knife or electric knife, pliers, and a board. 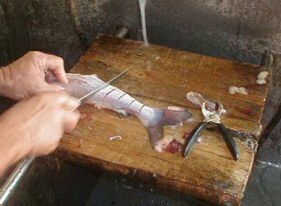 For large fish, a nail or hook attached to the cleaning board will hold the head in place and make the job easier. 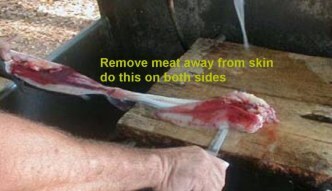 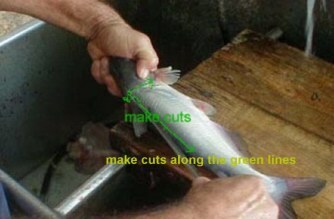 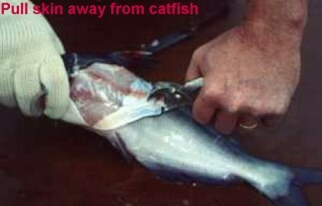 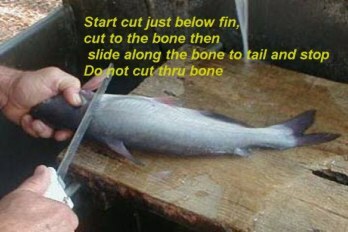 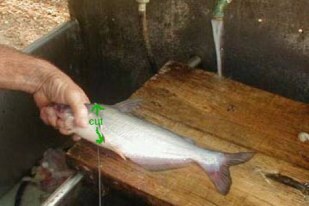 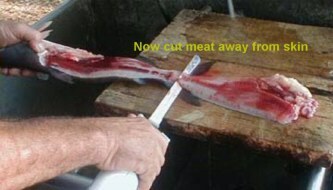 Smaller fish are best left whole and larger ones steaked or filleted.